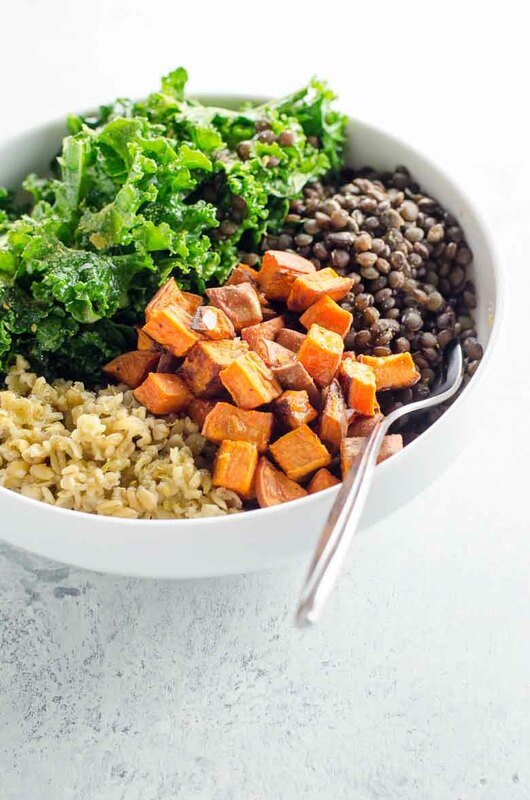 These beautiful, nourishing sweet potato Buddha bowls with lentils, freekeh and kale can be yours in 30 minutes. Big thanks to North Carolina Sweet Potato Commission for sponsoring this post, and thanks to you for supporting our partners. The brilliance of this Buddha bowl lies in the fact that all of the hearty ingredients magically cook in under 30 minutes. Sweet potatoes just want you to be happy. I also love a good Buddha bowl, don’t you? 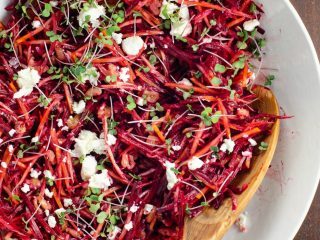 They’re a great excuse to tie a whole bunch of your favorite foods together with a loose thread, and the possibilities for vibrance, healthfulness and flavor are pretty much limitless. This bowl is vegan by accident, but I’m gonna own it and act like it’s part of the kindness theme, because who’s to say it isn’t? It’s full of lemony kale salad, perfect roasted sweet potatoes, freekeh and lentils, all of which cook quickly so you can get dinner (or a week’s worth of lunches!) 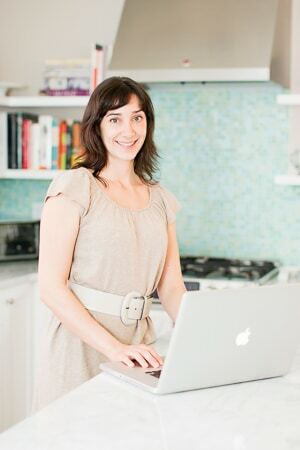 on the table and get back to being sweet and generous and fabulous as soon as possible. This hearty, savory Buddha bowl is vegan, gluten-free, and unimpeachably nutritious. 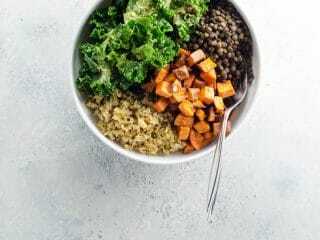 The sweet potatoes, lentils, freekeh, and kale salad will leave you happy and satisfied.